The Minoan ship is a reconstruction of a vessel, 17 meters long, dating back to the 15th century BC! 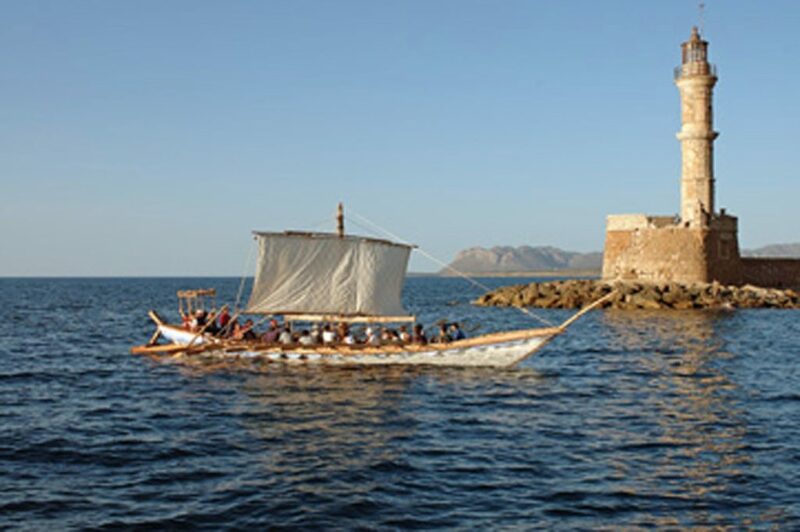 It is a realistic version of a prehistoric oared boat and it is housed together with the Greek Traditional Shipbuilding Exhibition and the Exhibition of Ancient Shipbuilding of Naval Museum of Crete in Neorio “Moro”, at the old Venetian port of Chania. The reconstruction of the Minoan Ship lasted four years and was completed in 2004. It was built entirely using traditional tools and materials. For the hull trunks of cypress were used, while for waterproofing the shipbuilders used layers of fabric dipped in a mixture of resin and beef fat. 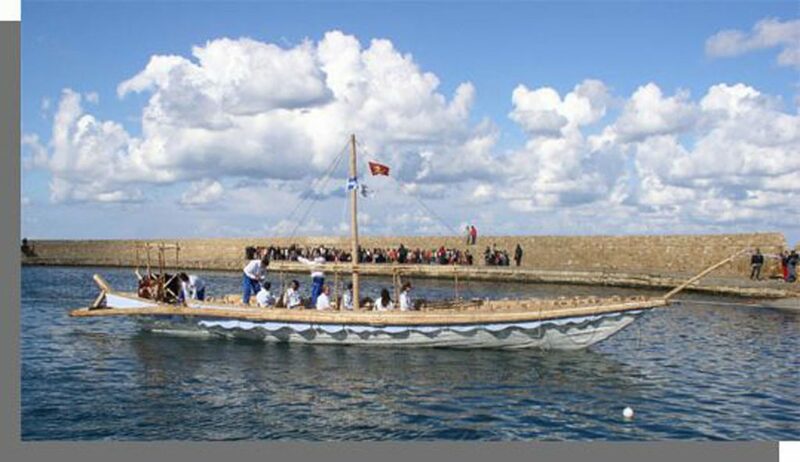 The Minoan ship started its maiden voyage on May 24, 2004 with a crew of 24 volunteers rowing to Piraeus, where it reached on 24 June, confirming this experimental approach to shipbuilding. In the exhibition, except for the Minoan ship, you will also find a rich collection of traditional ships and various items from the marine history of Greece. The Minoan civilization flourished on Crete at the second millennium BC and is considered one of the foremost in the world. The Minoan ships of the time traversed the Aegean Sea and dispersed their culture to its every corner. Address: Neorio “Moro” old Venetian port of Chania.